Fusion Woven Fabric Repositionable is a woven polyester fabric material that gives you a superior alternative to vinyl wall graphics. This durable woven polyester fabric paper won’t stretch when removed from walls, can be reapplied again and again without losing its shape, and sets the standard for water, UV and tear resistant paper. 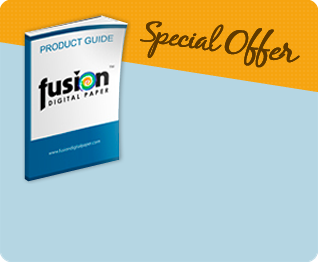 Fusion Digital Paper™ recommends this option for those in need of a repositionable paper that can be used for indoor and outdoor applications. Engineered specifically for high heat toner digital printing compared to vinyl paper which, while often a little cheaper, can melt if you get a jam in the fuser unit. Our special top coated woven polyester fabric face stock offers beautiful print fidelity and color brilliance. 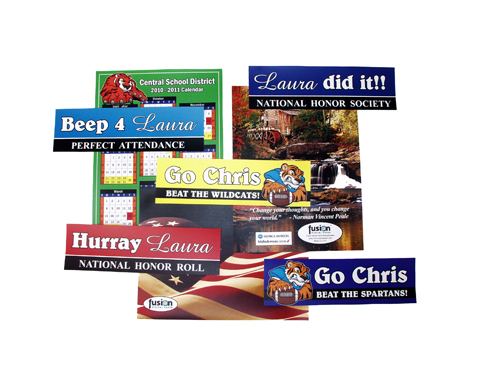 Fusion Woven Fabric Repositionable will end your search for sticker paper, decal paper or magnetic paper. It isn’t enough that our alternative to magnetic paper sticks to most surfaces. You deserve a removable sticker paper that is repositionable and can easily be moved again and again. With magnets you are limited to just metal surfaces. With Fusion Woven Fabric Repositionable, painted walls, wood cabinets, glass, metal and laptops all become approved surfaces. Fusion Woven Fabric Repositionable features a durable, 92# polycoated layflat liner. This well-constructed product will lay flat for excellent runnability on your digital production equipment. Please note that the release liner is not optimized for digital printing. Fusion Digital Paper™ is proud to say that Fusion Woven Fabric Repositionable is also available with split back liner for high heat toner printing. This version, Fusion Woven Fabric Repositionable with Split Back Liner, is made with exactly the same face stock, repositionable adhesive, and 92# layflat liner, but also features four scores (every 2.4”) running parallel to the 18” direction. This option is the perfect one for customers interested in creating magnet replacements of any size with an easy to bend and peel release liner. In a continuing nod to its versatility, Fusion Woven Fabric Repositionable is available in sheets for high heat toner and HP Indigo printing along with wide format rolls for aqueous and solvent, eco sol and UV inkjet printing. It is also available in 12”x47” banner size sheets; a perfect option for creating waterproof and tear resistant indoor and outdoor repositionable banners on select high heat tone digital equipment.